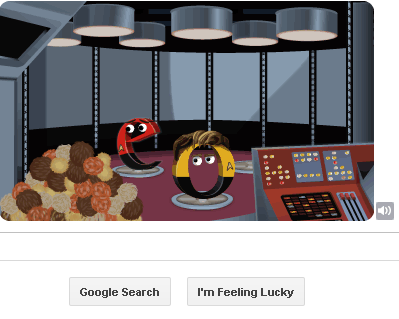 Have you checked out today's Google Doodle? I was just playing around with it and discovered Tribbles!!!! My work computer doesn't have speakers so I will definitely have to play around with this more later tonight. Click on Uhura, and the Red Shirt too.